Longing for an adventure challenge? 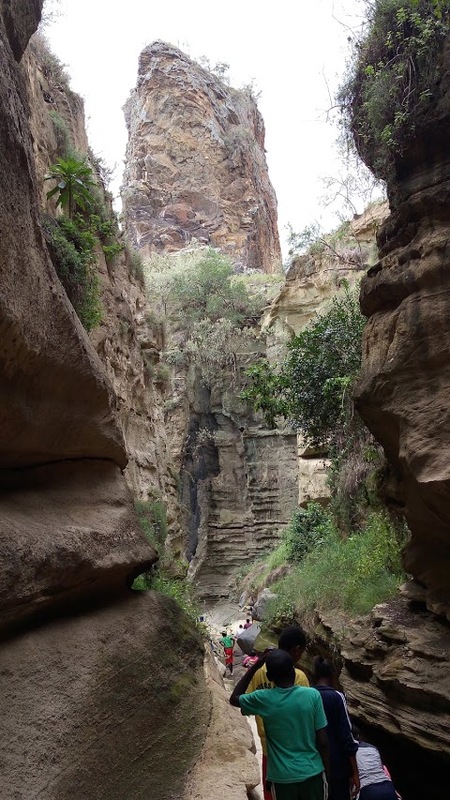 Welcome to ‘Kenya’s Grand Canyon’, the Hell's Gate National Park - located in one of the largest active geothermal areas of Africa. Hell's Gate is known by many as the ultimate adventure challenge – guaranteed to push you to your limits. Its terrain reveals years of intense geothermal activity that has led to the current physical land formation. Your Hell’s Gate adventure begins at the Elisa gate junction, 2 Kms from the main Elisa gate entrance. The hot and dry weather plus the dusty terrain means it’s easy to guess what awaits you so bring sunglasses, a hat and some drinking water. I don’t recommend hiring a tour guide at this point though; they tend to be quite expensive and some are not well informed. You can get better local tour guides inside the park for a lesser fee. If you have your own transport, you can choose to bypass this point and start your adventure at the Elisa gate reception. Otherwise, if you feel like walking, you can trek the 2 km distance to the main gate and rent a bike at the reception. There is an entrance fee to access the park and nowadays they don’t accept cash. You have to pay using M-Pesa through their pay bill number. Keep your receipt with you as it will be required when exiting the park. Hell's Gate is one of only two national parks in Kenya where visitors are allowed get out of their vehicles. Sign posts are well positioned and labeled to help you navigate peacefully. Kindly adhere to any signs or advice you come across for your own safety. Hiking, cycling, picnic, camping, rock climbing, game drives and gorge exploration are some of the exciting activities you can engage in. Hell's Gate is a vast area and if you are planning on hiking you need to start early when it’s less hot. 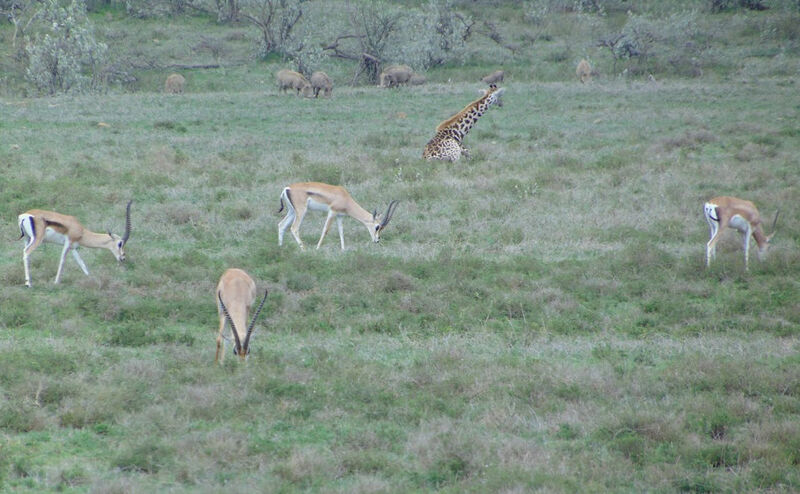 Exploring the park on a bike and riding close to wild animals like zebras, buffalos, gazelles, giraffes was my favorite. If you come across wild animals, keep a safe distance and don’t disturb them for your own safety. 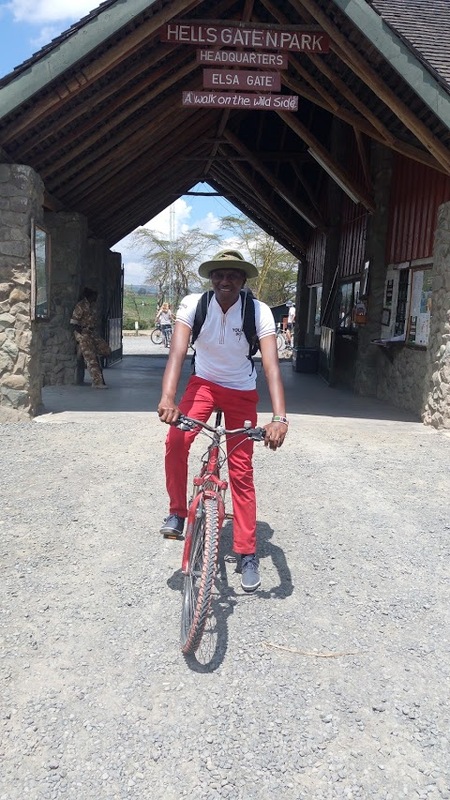 A game drive is the other option if you feel hiking and cycling is too much for you - though you will be missing out on the fun and excitement hiking or walking offers. If you fancy cliff or rock climbing, there are designated climbing routes that you can attempt. You need to be in the right gear though and don’t attempt climbing towers or cliffs that are prohibited. Most people do attempt ‘Fischer's Tower’ – one of the three volcanic plugs’. Others towers are Central & Paramount tower. Reaching the gorge from Elisa gate reception is 8 kms and takes you around 2 hours on a bike. Being in a group is more fun than being alone… you can keep encouraging one another along the way. 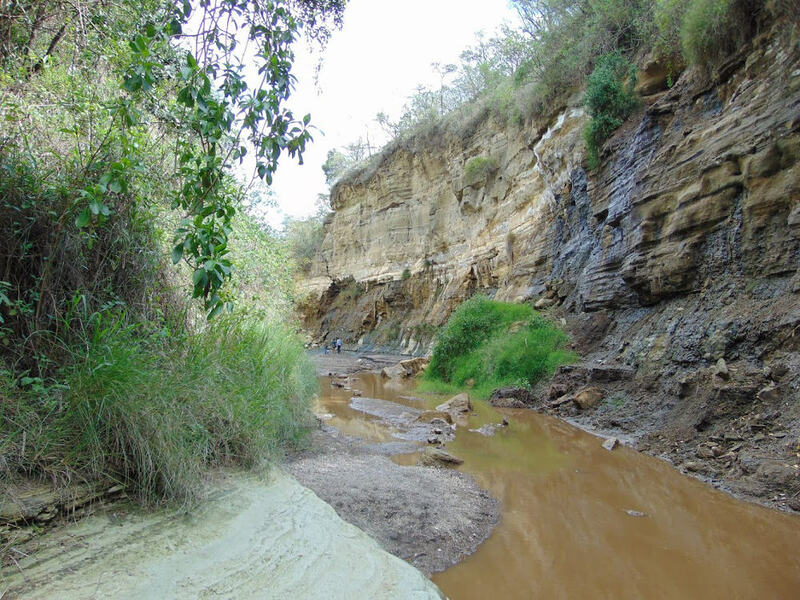 Locally the gorge is known has “Ojorawa Urugwa” which is a maasai word meaning a valley of hot water. Beside riding a bike through the wilds, and rock climbing, the gorge is the most interesting and attractive part of Hell's Gate. It’s endowed with incredible sights, a prayer rendezvous, hot springs, rich history and yet it can get really dangerous. The maasai community believes that some of their people were buried alive when Mt. Logonot erupted a long time ago and called the place “emenega” which translates to Hell. 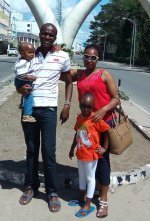 There is also an interesting myth about the 3 volcanic plugs found in the park that are associated with maasai customary marriage laws. Being inside the gorge is like walking in the womb of mother earth. Locals have nicknamed some parts of the gorge the devil's bedroom, devils or hell’s shower, devil's mouth and devil's kitchen… there is a unique reason behind each name. Have you watched the movies, “Tomb Raider 2” and “Lion King”? These movies were filmed here inside the gorge. Some places within the gorge are really narrow and slippery. You need to hold tight and know where to put your feet before moving on to the next step. If you visit the gorge after it has rained, some puddles can be quite deep so avoid them. And before I forget - the hot springs cannot be touched -some are extremely hot and touching or placing your hand over the stream can lead to serious burns. The gorge is very unpredictable, whether it’s your first time to visit the gorge or not, I recommend you get a tour guide, especially a local one who knows the area well and understands the weather pattern. Flash flooding is the real danger inside the gorge and you do not want to be inside the gorge when it occurs. 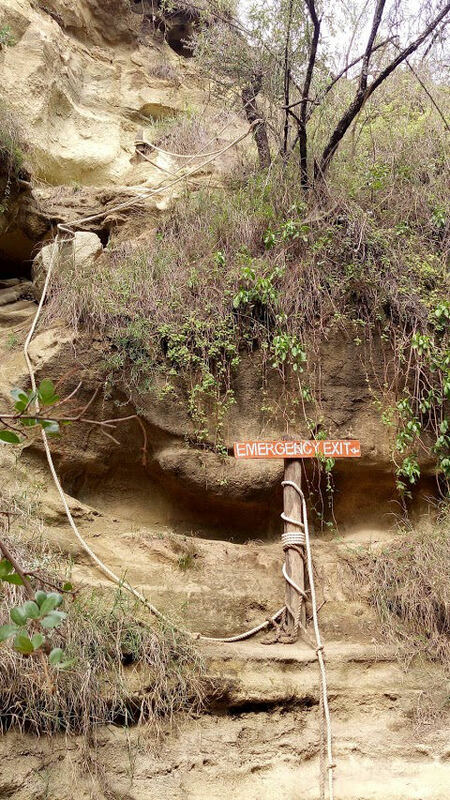 Adhere to your guide’s advice and in cases of emergency, there are emergency exits to quickly vacate the gorge. It can be sunny in the gorge but when it rains on the slopes of Mt. Longonot, the gorge experiences flash floods. The flood waters carry big volcanic rocks and other debris that keep on reshaping and creating new features in the gorge. At a safe distance above the gorge you can watch and see how fast and violent the flash floods can be. If you want to explore the entire gorge, which is 24 Km long, you need to be at the gorge site early and in proper hiking gear plus bring some food. But basically the most thrilling part of the gorge can be covered in less than 2 hours. The gorge hours are between 6 am and 6 pm in the evening. As you exit the gorge, there is a community market where you can buy yourself some traditional souvenirs and ornaments to help the local community. The prices are not fixed so you can bargain. When exiting the park, if you used Elisa gate to get into the park, you can now use the Olkaria gate and have a close-up view of Africa’s largest geothermal power plant. Seeing the steam escaping into the atmosphere and how its transported to generate power is an incredible experience. 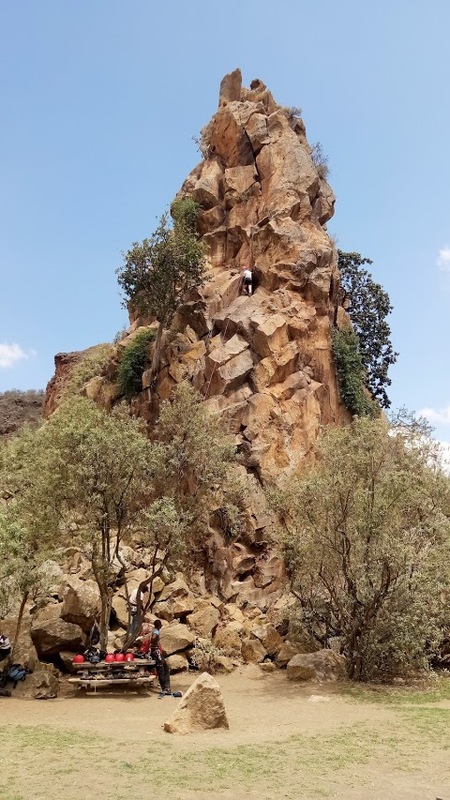 The route to Olkaria gate can be a bit tough, especially if you are cycling or hiking because of its hilly nature. Driving to the gate would be better. If you rented a bike and you no longer need it, you can leave it at the gorge’s reception. But if you feel you have some more energy left in you, you can try to cycle to the gate or exit using the Elisa gate and enjoy once more the beautiful terrain and wild animals.